In what’s becoming an annual June tradition, the Supreme Court issued another landmark healthcare ruling this week. In a 5 to 4 decision, the Court ruled that certain corporations don’t have to cover birth control in the insurance plans they provide their employees. The decision doesn’t eliminate Obamacare’s “contraception mandate,” but it does narrow it, and millions of women could be affected. The birth control mandate is one of eight women’s preventive health benefits that Obamacare requires health plans to provide without any cost to the patient. Other required benefits include breastfeeding equipment, HPV testing and domestic violence screenings. Obamacare directed the Institute of Medicine, an independent, congressionally chartered body, to define what medical services should be included as women’s preventive health benefits. The health care law did not include a specific list of services. 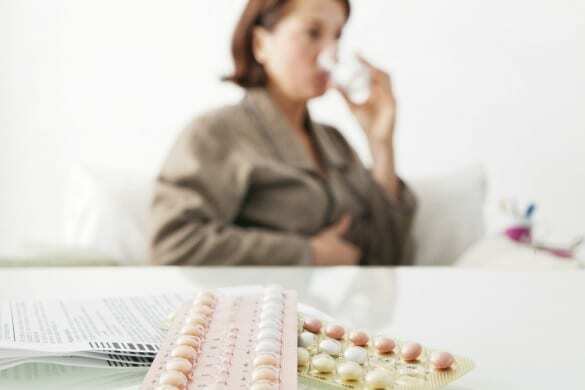 Millions of women have benefited from the IOM’s decision to include contraceptives as an essential preventive health service– according to the Department of Health and Human Services, the number of prescriptions for oral contraceptives with no copays increased by 24.4 million from 2012 to 2013, saving women over $483 million. The birth control provision included a conscience clause: churches (and other religious employers who employ mostly people of faith) could opt out of this requirement. However, the conscience clause did not apply to religious hospitals, universities, or business owners, who generally hire people of all faiths. However, that compromise did not apply to private business owners, so more than 40 businesses have sued the government, arguing that the contraception mandate violates their religious liberties. The case that the Supreme Court decided this week was brought by the evangelical Christian owners of Hobby Lobby, a chain of craft-supply stores. The biggest question was whether a private corporation could even have a religious belief. A corporation is considered a “legal person”: it can enter into contracts, own property, etc. as a separate entity from the real people who make up the corporation. As legal people, corporations have some of the same legal rights as “natural people”– for example, they have 4th and 5th amendment rights against search and seizure without due process, and corporations’ first amendment right to freedom of speech allows media companies and advocacy groups to operate without government interference. What the Supreme Court had to decide here is whether a private for-profit corporation, which was not formed to further religious goals (like say a nonprofit hospital or university might be), can exercise religious beliefs. It’s the least restrictive way to further that interest. Whether corporations have a right to exercise religious freedoms: The court ruled that corporations do have a right to religious exercise that would be covered by the RFRA, but only those that are “closely held [meaning at least 50% of the stock is held by five or fewer people]… owned and controlled by a single family, and no one has doubted the sincerity of their religious beliefs.” The ruling doesn’t say whether other types of corporations– say large publicly traded companies like McDonald’s or Walmart, for instance– have the same religious rights. That will have to be decided in future cases. Whether that freedom was violated: The Court found that the contraception rule did present a “substantial burden” on the companies, since these companies believe that by covering certain forms of birth control, like IUD’s and the morning after pill, they would be facilitating abortions (although, we should point out, that’s not how these contraceptives actually work). And the alternative to covering contraceptives– paying Obamacare’s fee for not providing insurance– could cost these companies a significant amount of money. The Justices did accept, but only for the sake of argument, that the contraception mandate meets the first part of the RFRA’s test– that it serves a “compelling government interest”– but said that it violates the second part: it’s not the least restrictive way to further that interest. The decision points to the accommodation provided to religious nonprofits we mentioned earlier as an example of a less restrictive method. “The exercise of religion is characteristic of natural persons, not artificial legal entities,” she wrote. Meanwhile, the Affordable Care Act “trains on women’s well being, not on the exercise of religion, and any effect it has on such exercise is incidental.” There’s also this: “Accommodations to religious beliefs or observances, the court has clarified, must not significantly impinge on the interests of third parties.” Her dissent includes a subtle reminder to question the protection of religious expression when the “third parties” all happen to be members of the same group, which has been historically discriminated against. In 1966, she points out, the owner of a restaurant chain “refused to serve black patrons based on his religious beliefs opposing integration.” Then, the court upheld the Civil Rights Act, unanimously; today it was split along gender lines. How many women will be affected? However, Hobby Lobby’s not the only closely-held, family-controlled company opposed to the mandate– it’ll be a while before we know how many others follow suit. The Supreme Court’s decision actually contains some advice on how to tweak the contraceptive mandate so it would be acceptable under the RFRA: have the government pay for it, like it did for religious nonprofits. If the administration decides to pursue this fix, it could happen pretty quickly. By extending the accommodation to for-profit corporations through an “interim final regulation” or as “regulatory guidance”, it could be implemented in a matter of weeks — or even days, Jost says. To make sure women employed by religious organizations enjoy the same access to birth control as women working for secular employers, the administration offered two options: the TPAs for religious groups could find an insurer willing to cover contraception for their nonprofit clients’ workers; or the TPAs could pay for birth control themselves and find an insurer as a partner using the federal health exchange. While the system may work for TPAs that are owned by insurers, Ferguson said that no independent TPA — there are more than 300 in the U.S. — has found an insurer willing to join with it. Since the birth-control benefit began Jan. 1, the costs to independent TPAs are potentially in the millions of dollars, he said, with no certainty they’ll ever be paid back. Without a fix from Congress, independent third party administrators might just drop clients with religious objections to covering birth control. State laws: More than half the states have “contraception equity laws,” which require employers who cover prescription drugs to cover contraception. State laws aren’t covered by the RFRA, which was the basis for the Supreme Court’s decision, meaning that some religious employers would still have to provide coverage or sue to try to overturn those state laws. Federal anti-discrimination laws: Those state insurance laws don’t apply to employers that self-insure, like Hobby Lobby– only federal insurance regulations apply. These employers are, however, covered by a ruling issued by the Equal Employment Opportunity Commission in 2000, which said that employers that offer prescription drug coverage who fail to cover contraception as well are discriminating against women. The recent Supreme Court just doesn’t address the EEOC ruling at all, so female employees of companies that stop offering contraceptive coverage could still try to sue for gender discrimination. And, so without action from Congress or a major legal battle, the status of contraceptive coverage for women who work for religious employers is far from settled. UPDATE: Ezra Klein points out that while the Hobby Lobby decision is a blow to Obamacare’s effort to expand women’s access to reproductive care, it doesn’t touch most of the law’s gains. “Obamacare is [still] the biggest increase in access to reproductive care in decades,” Cecile Richards, president of Planned Parenthood, told Klein.